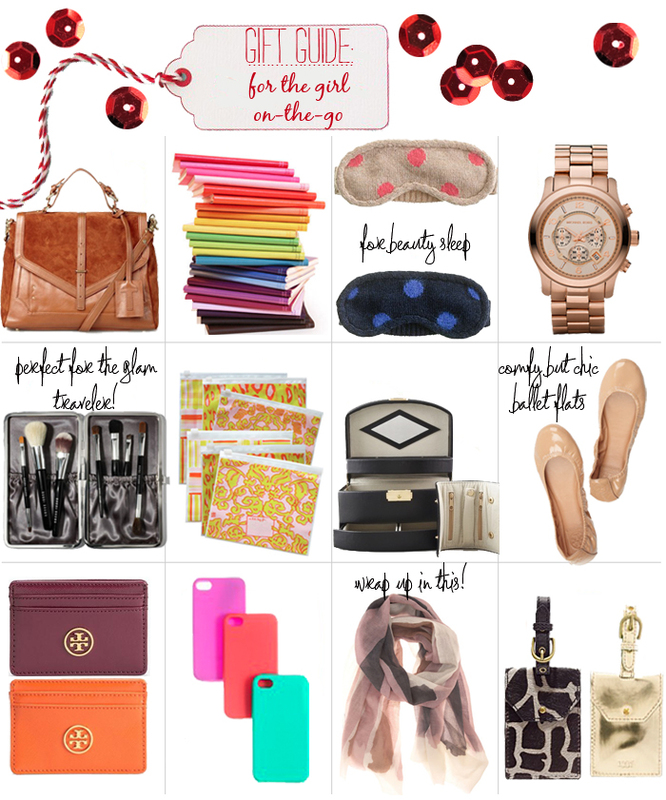 Here’s a little gift guide for the ladies who are always on the go. I feel like things have been going non-stop lately, and these are a few items that I’ve added to own wish list. Wearing super high heels just hasn’t been an option lately with all the running around, so I’d love to see these Tory Burch ballet flats under my tree! If you have any friends that are frequent work travelers, this guide will work for them as well. One of my very favorites is this Club Monaco throw – it’s the perfect thing to wrap up in on a long flight. Or check out this universal adaptor. So you can blow dry your hair no matter where you are! The TB 797 bags have been on my list for awhile now, love the shape! And I don't think there is anything sweeter than the Madewell Sleeping Masks, the perfect stocking stuffer! love this little roundup!! fab picks bradley! i may add the little ballet flats to my wish list!! Great gift list. I hope Santa brings me that TB bag! Love it all!! Especially those flats! I love the Michael Kors watch, I have a silver and white one. I would love to have a gold. liking those notebooks! I want them all just to have a rainbow of colors stacked on my desk! loving the watch and brush set, both have been on my wishlist for a while as well and the scarf is amazing!! !